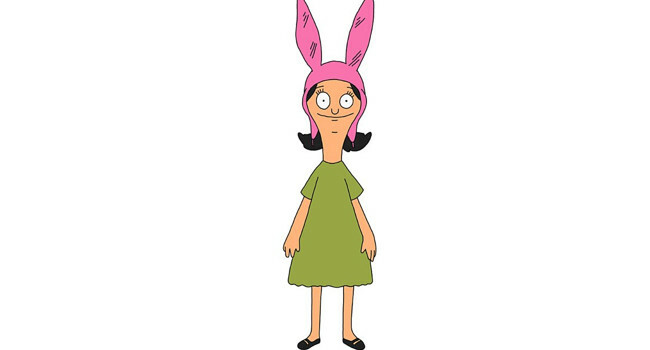 Louise is the youngest of the Belcher family and thrives on conflict and adventure, even if it means endangering herself or her family. She has an odd sense of humor and is fond of slapping people. Though she periodically changes out of her green dress, she’s never seen without her trademark pink bunny hat on.